For the past six months my partner, Donielle, and I have been on an epic road trip to educate outdoor enthusiasts about responsible outdoor ethics. 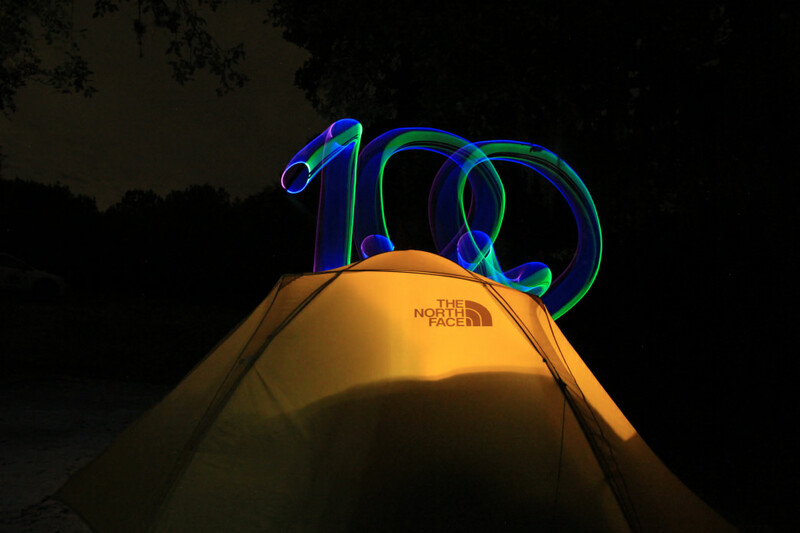 Tallying 23,000 miles driven, 117 nights camped, and countless experiences we never could have imagined, we sure love what we do. Nothing could have prepared us for what road life had in store, but for the past six months we’ve been able to tinker, adjust, and dial in our set-up for maximum comfort and adventure. Packing for life on the road walks a delicate balance between stripped-down minimalism and allowing for a few key creature comforts that can boost morale on an infinite scale. It’s a pretty refreshing feeling to know that everything you need is with you at all times, a feeling that makes you seriously question all of the cardboard boxes piled high in your storage unit back home. For those ready to embark on an epic adventure, here’s a quick guide for achieving that perfect balance when it comes to packing for life on the road. Sleep is the ultimate key to a semi-permanent life on the road. Without the ability to consistently link several good nights’ of sleep, you will inevitably become a red-eyed, nerve shaken, road weary traveler who just can’t seem to down enough coffee. Invest in your sleep system knowing that satisfying this basic need is the first step in an epic road trip. Our sleep system involves the Big Agnes Insulated Double Z Pad stuffed inside the Big Agnes Sleeping Giant memory foam topper. Awarded a gold medal from both of our backs, this system means you get four inches of inflatable pad filled with Primaloft for extra warmth, plus an extra inch of ultra-comfy memory foam to drift away to a good night’s sleep. Whichever sleep system you decide on, err on the side of overdoing it rather than skimping to try to prove your minimalism. Your back will thank you later. Pro tip: Cover your sleeping pads with a fitted bed sheet. This creates an almost home-like mattress and helps you normalize a life of sleeping outside just a little bit more. We also brought real-life memory foam pillows on our trip instead of trying to save space with backpacking pillows. Bags of candy, salty chips, and hyper-caffeinated energy drinks are tempting on the road for their convenience, but your life will be vastly enhanced by taking the time to prepare your meals and road snacks. 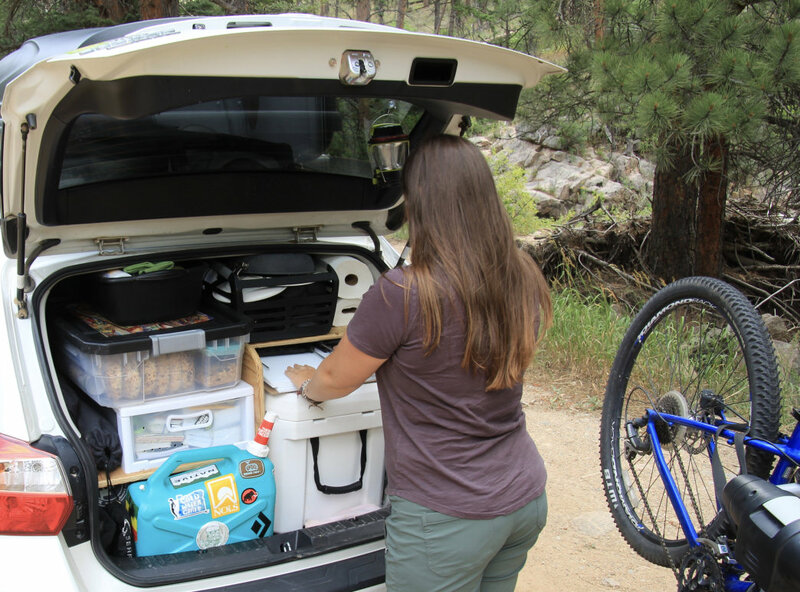 Ensuring you have a well-stocked road kitchen is crucial to keep your adventures fueled. We’ve found in our travels that we can stock our heavy-duty insulated cooler with three to five days of food. Our micro-kitchen also includes a two-burner propane stove, two frying pans, two pots, three plates, three bowls, and four knives/forks/spoons, to be exact. Our minimal dish system still serves up some big meals like curry or breakfast burritos, but it means less time spent washing dishes and more time out exploring. Pro Tip: Seek out block ice whenever possible as these solid blocks last twice as long as cubed ice. Block ice is virtually non-existent in some states (looking at you Texas), so your best bet is to freeze a tupper or two with water whenever you get access to a freezer. Perhaps the biggest hindrance in a successful long-term life on the road is organization. When you’re constantly searching for your left hand glove, third fork, or cell phone charger you start to become pretty frustrated with a lifestyle that’s always changing, it’s important to keep a few things constant to stay grounded. 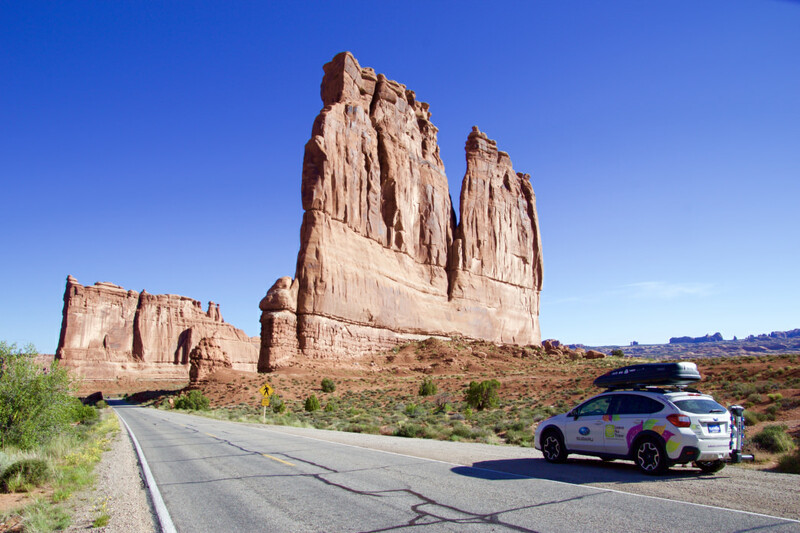 Before your road trip consider how you’ll want to organize your vehicle. We choose not to sleep inside our vehicle to maximize how much we are able to bring with us. Instead of building a big sleeping platform, we outfitted our car with shelving and dividers. We’ve each claimed different sides of the rear passenger seats for our personal gear and reserved the far back for shared items like dishes, food, and our sleep system. We keep everything in some sort of container rather than having a bunch of loose items floating around. For clothing and personal items we love the modular haulers made by MountainSmith. Long days on the road wreak havoc on your spine, hips, knees, and just about every muscle in your body. Make room in the car for yoga mats, muscle rollers, or anything that helps you stretch your muscles at the end of the day. Our system involves an ultra-compact beach blanket and yoga mats so we don’t have to worry about our mats getting filthy as we do yoga on the dirt. Pro Tip: Figurative flexibility is also a must. Sometimes you make split second decisions to tack on an extra four hours to your drive simply because it happens to not be pouring rain four hours away. 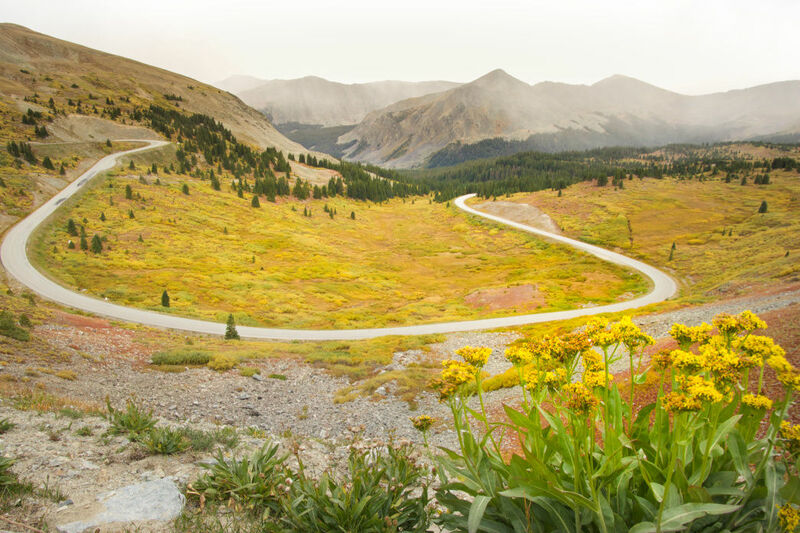 Any road trip will be successful when you’re able to find the balance between careful planning and wild spontaneity. 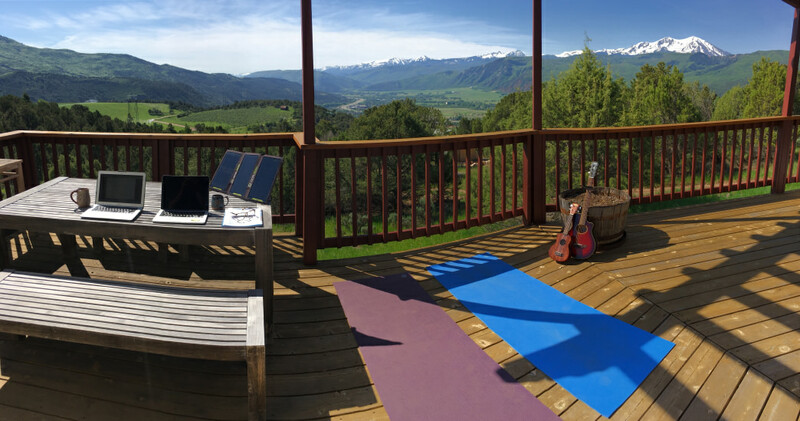 A travel guitar and ukulele for nights around the campfire or entertainment while traveling during radio dead spots. The National Geographic Adventure Road Atlas. It’s actually pretty entertaining to ditch the smartphone GPS and navigate by paper map once in awhile.